« Veterans Day on November 10. Remember. “Midnight, the Stars and You:” Wesley Lake over 100 years ago. 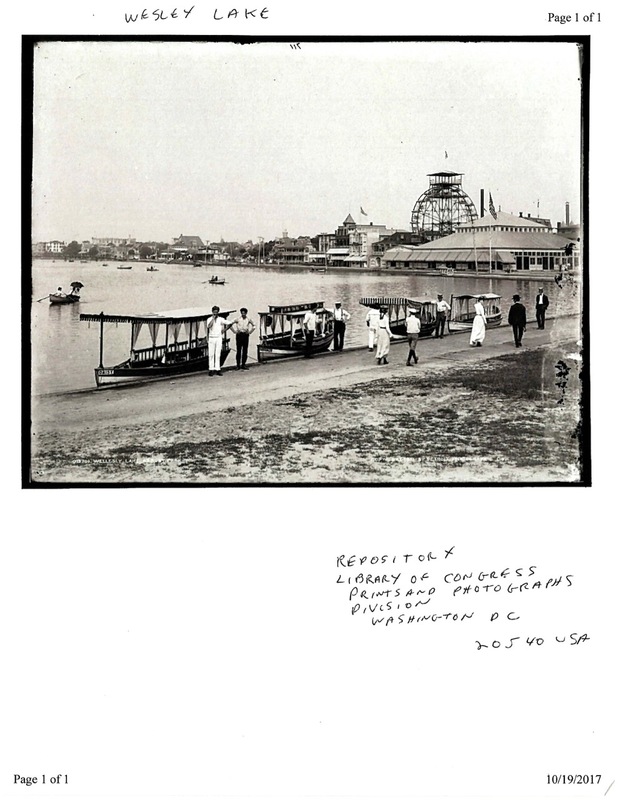 Vincent Cannavo found a number of Wesley Lake photographs on line which carry a copyright date of 1903, although the photos may have been taken earlier. In this image you are standing on the OG side of the Lake. We can see boats for hire as well as the A. Park amusements. Vincent points out how different Asbury looked back then, although the OG side (we will show more of these images) looks unchanged. Notice how Lake Avenue was a walkway back then. No horse poop in sight. That’s not surprising because the OG side managed to be a planned town, and the Victorian houses were somehow preserved even though there was no zoning, HPC or historical designations. We could use some insight from those of you whose families are multi-generational in the Grove. What else do our readers see in this photo? Thanks to Vincent for these images. I just remembered my previous life. After service on Sunday, we would stroll over to Wesley Lake and take a boat ride on Daisy (boat on left). There were 8 of us in the boat. We paid Billy 25 cents for the whole boat for a one hour ride. Then, we’d walk home to our cottage on Lake Avenue and have a big Sunday dinner around 2 pm.